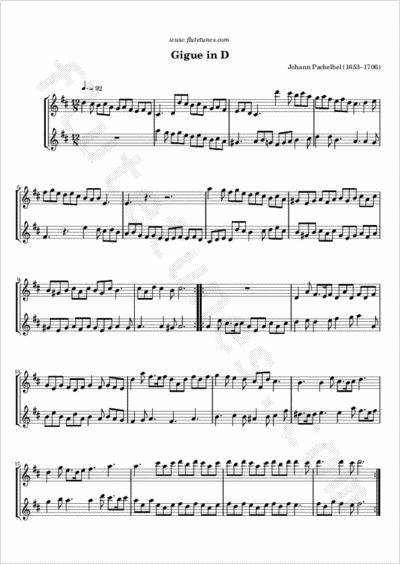 Everybody knows Pachelbel's Canon, but the Gigue that originally accompanied it never received the same amount of popularity, even though it is a lively and energetic dance. Just like the Canon, Pachelbel composed it near the end of the 17th century, but it remained forgotten for centuries and was rediscovered only in the 20th century. Thanks to Jeffrey for suggesting this piece!